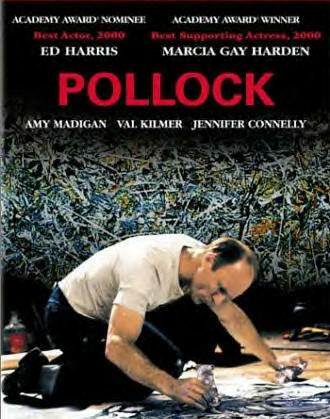 Biographical film tells the story of American painter Jackson Pollock. 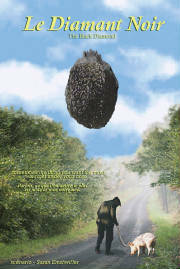 Winner of the Hollywood Gateway Screenplay Contest Grand Prize. 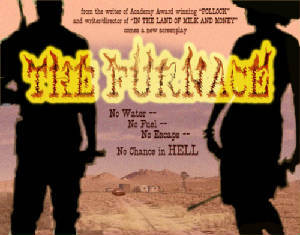 Bitter and haunted, Vietnam Vet, Clay Bodie, has banished himself deep into the vast sizzling wasteland of the Nevada desert. Into this comes Lilly, desperate for help. She’s got a multi-million dollar winning lottery ticket and two killers on her trail. Shooting down into Clay’s ramshackle homestead: the killers trap Clay and Lilly, and make swiss cheese of the water tank, truck, and generator. Then they sit back with their Pelegrino waters and sun umbrellas and wait for the desert to do the killing for them. It’s only a matter of time before Clay and Lilly will be, literally, toast. Will Clay be coward he’s always been, or will he rise above his shameful past and turn the desert he knows so well into a weapon to save them both? When the world’s largest truffle is found in the French countryside and a Los Angeles restaurateur is going to pay top dollar for it, each French villager who knows of it, wants to be the one that sells it. Greed gets the better of them all, and the truffle is stolen again and again between these flawed folks. Yet, when it comes to life and death, these unlikely heroes are willing to sacrifice their dreams of wealth. In giving up what they want, they end up getting what they need. "Sometimes the thing you need the most is right under your nose."